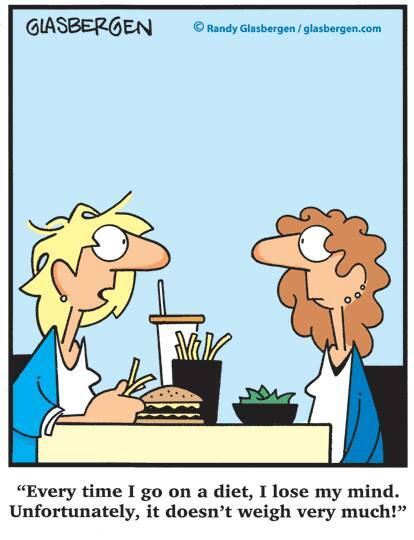 New Day – New Diet? I think I need a more exciting diet! I’ve been wondering if I need a new and exciting diet so I’ve been watching and reading about various choices on the internet, TV and friends. So you can imaging how shocked I was last week when someone on Facebook posted this miracle “Cabbage Soup” diet. Yikes. I remember this one. It was wonderful for the first 4 days but it got tired very quickly. I think I stuck to it through two batches. It was the 80’s and everyone was trying “Miracle Weight Loss” products and plans. The 70’s introduced the “Drinking Man’s Diet“. It said that hard liquor had no carbohydrates so if you drank the hard stuff and kept the carbs off your plate you would lose weight. It worked but created a huge number of undernourished alcoholics. We also had the “Pre-digested Protein” liquid diet. OOoooo – so gross. But it’s back and is being touted as a miracle. Sigh. I’ve counted carbs, calories, points, units and colours. 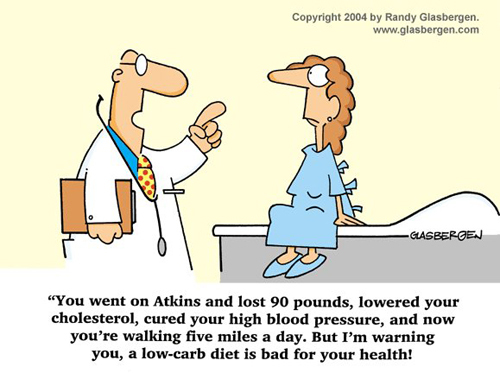 I liked the Atkins for the weight loss, until I reached ketosis. Bacon, all meats, sour cream, butter..how could I not like it. After the first week I didn’t even crave bread but I did crave fruit and vegetables. What kind of diet doesn’t let you have apples, carrots or tomatoes? Not one I could stay on especially when I was cooking for a family that was allowed to eat anything! I think I’m taking my day-to-day diet for granted. I don’t need to measure many things any more. I pretty well know where, what and when I can eat. Sigh. Do I need a new diet? Is boredom a good enough reason? 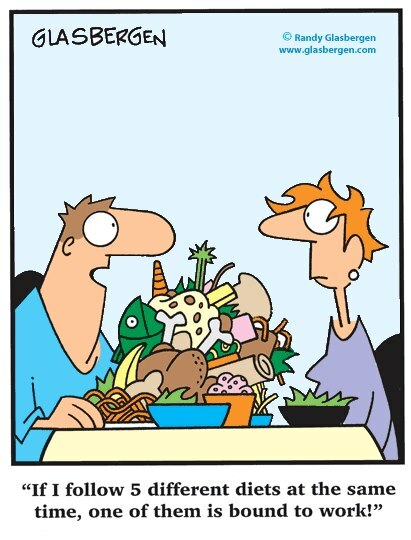 There are so many diets out there. Old ones, new ones, old ones with a new twist, and new products and “super foods”. Did you know that ascai berries don’t have a much better nutritional profile that blueberries? But they are rarer and sound exotic. So what is the new trendy “supplement”, fruit or vegetable? Maybe it’s growing in your backyard. Hmmm, what’s in my backyard at this time of the year? Branches for burning; mint, lots of mint that I can’t kill no matter what I do; ferocious raspberry canes (I think they may actually be blackberries and will overthrow my whole backyard if I don’t watch them); some moss; worms and sprouting rhubarb. That’s it! The rhubarb! It’s a miracle plant. It’s sour and tasty, even a mild laxative when you need one. The leaves are slightly poisonous (so don’t eat them) but they do make a wonderful pesticide. It’s full of vitamins and minerals. I’ll have to develop this so I can make a fortune and go on Dr Oz. Isn’t amazing how a “miracle” can make millions of dollars and millions of unsatisfied diets? We don’t need “miracle diets” we need life plans. I guess I’ll stay with my plan. It works when I do. I will continue to: drink my cinnamon apple and fat flush waters; to journal my daily intake; and write my blog. But, I will try to develop the “Miracle Rhubarb Fat-Dissolving Plan”. Don’t laugh, you’ll be watching me on Dr Oz, Oprah’s Network and the Doctors, soon! 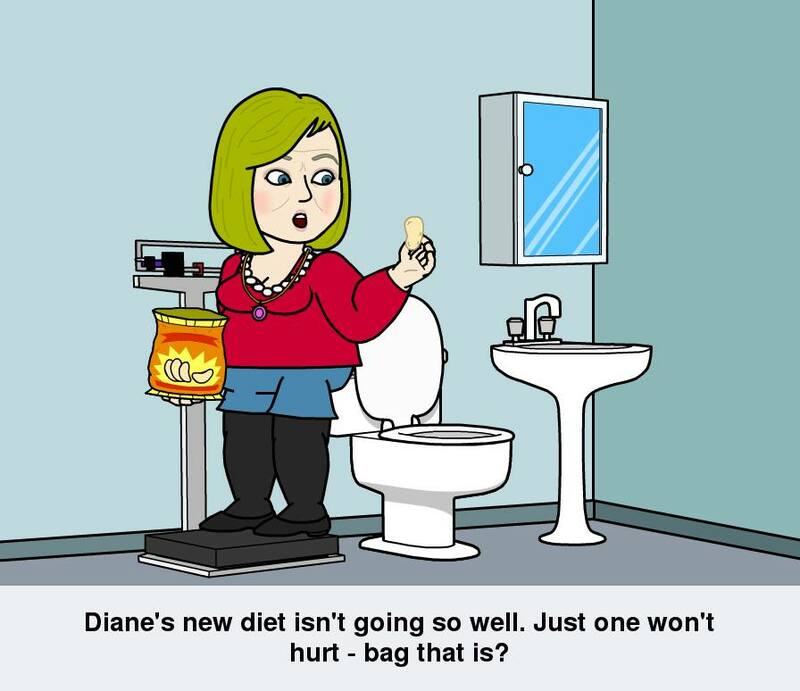 ~ by 1fatgirlshrinking - Diane Kirby on March 12, 2014.